We all have the same opportunity when it comes to Social Media. With every post, or with anything you do, you are making an impression…good or bad. Others will evaluate all of your post and form an opinion, whether it is accurate or not. Make a decision to create your own brand. Otherwise, it will be created for you. Branding started thousands of years ago (around 2000 BC). It carried weight and value to the item being marked, showing it was genuine. In later years, unfortunately, there were many incidents of branding that should have never taken place. Branding became a mark of ownership. 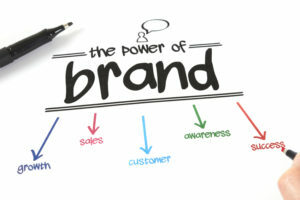 In the commercial and marketing space, branding is what attributes to the success of many companies. It isn’t necessarily the quality of the product as much as it is the brand they create. I remember back in the 80’s when I was in elementary school, the popular rich kids all wore the colored pull over shirts that sported a small alligator. It wasn’t the quality of the shirt that made it popular. It was a tiny little patch of a crocodilian reptile. We got sucked in to this branding. For those of us who couldn’t afford such things, it made us feel inferior. To find one of these gently worn shirts in the thrift store was a true find. Of course by the time your luck panned out, they were out of style and a new fad had developed. And does a coke really make you smile? YOUR brand is not a logo, tag line, or colors associated with you. It’s not a company. What it is, is you and your lifestyle. You have to WORK for your brand. Your brand builds trust. Take a moment to think of others and who they represent. Now think of people you like? Who draws your attention? Connect with those people! Have you ever noticed how some Mexican restaurants throw in the word “authentic”? Just by adding this 9 letter word, it draws you more to their business rather than that of the fast food options with a low scale menu. We want the real deal! Are you ready to build YOUR brand and make a positive mark on the world? Get started with your FREE copy of my Branding Guide- 10 Steps To Leave Your Mark On the World ! Wow! Really makes one think. Thank you so much, Angela. Your expertise and professionalism shines brightly.